The ESA site is located in the National Park “Cuenca Media del Río Guadarrama”, a spot of great natural beauty containing many varieties of natural vegetation. 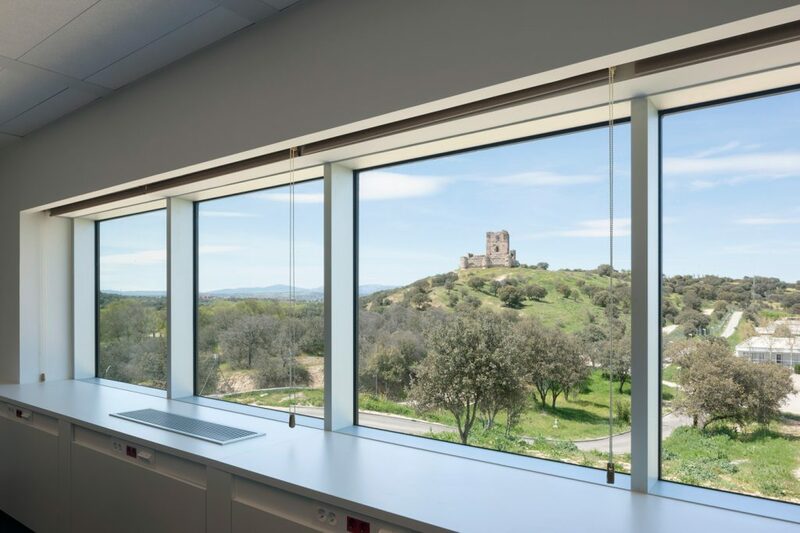 The development and growth in recent years of the ESA headquarters in Spain has necessitated the expansion of its facilities. 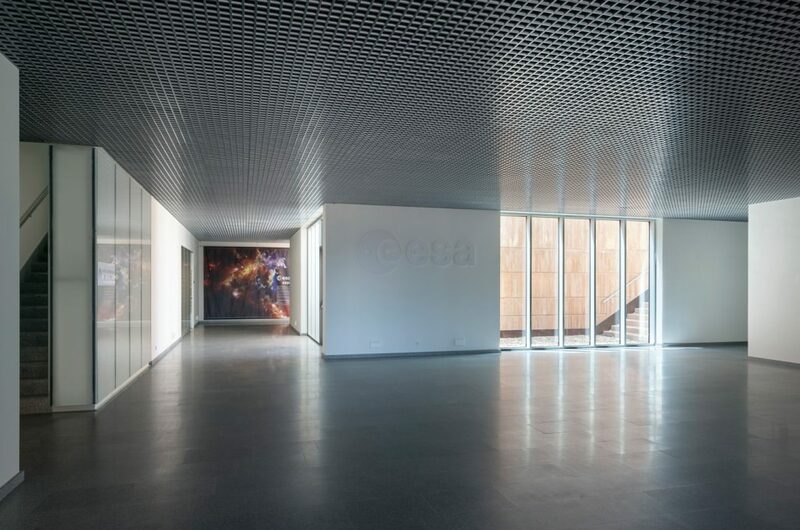 The multi-use building includes a convention centre for the ESA facility as well as offices for two different institutions: ESAC and INTA. 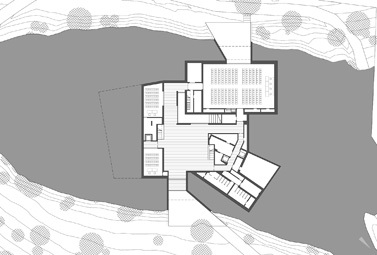 The building is organized into three volumes built on a hill corresponding to the three elements of the program, that are joined underground by a common base housing the public functions: foyer, conference rooms, access stairs to the ESAC and INTA offices, and an exterior court with access to terraces. 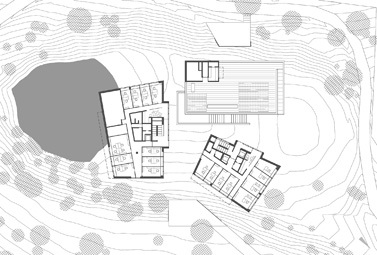 The chosen organization minimizes the visual impact of the building in its natural environment and also allows both independent and coordinated operation of the three main parts of the programme. 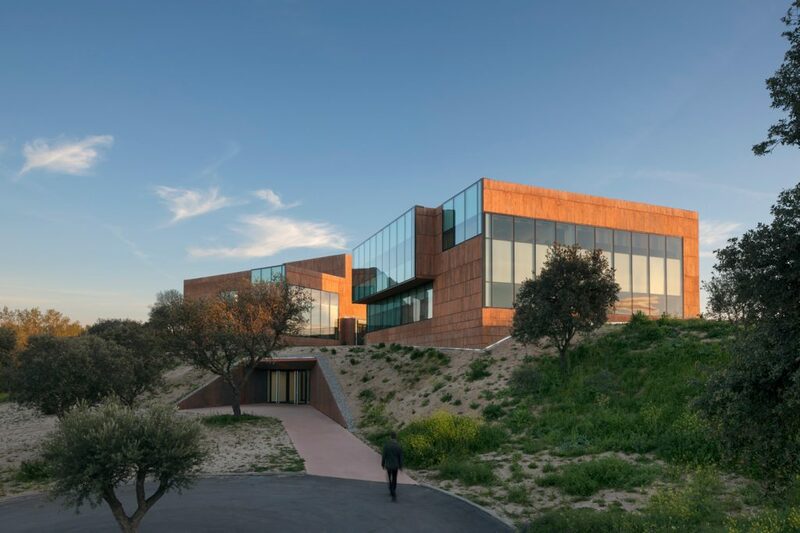 Taking into consideration the unique nature of the ESAC site and its natural beauty, special attention has been given to assuring that all inhabited areas of the building are graced with exceptional views. 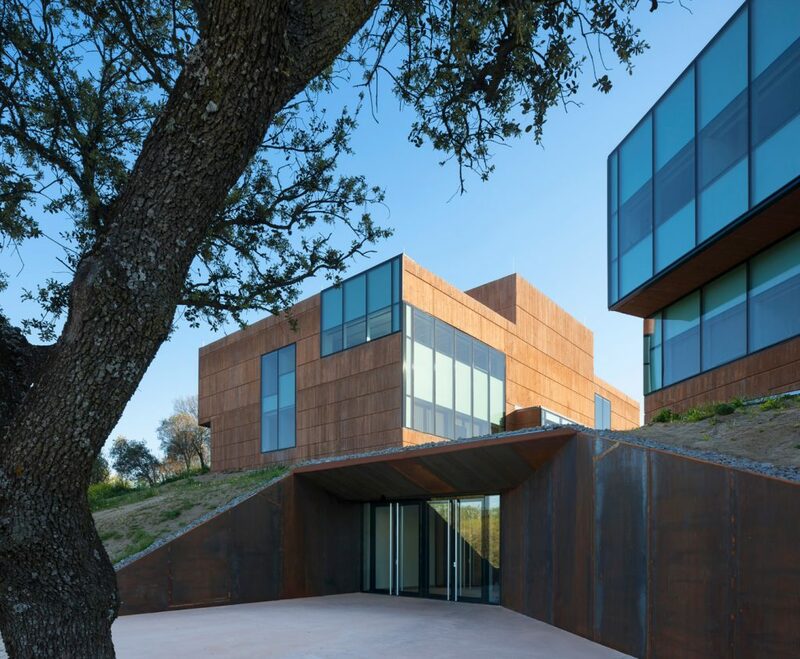 With the goal of integrating the building into the surroundings, the concrete walls were given the same colour of the surrounding land and the nearby Aulencia castle ruins. 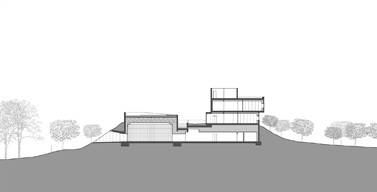 Furthermore the foyer and conference room roof will be planted with green in order to blend into the landscape. El edificio multiusos para la ESA (European Space Agency) se enclava en el centro ESAC (European Space Astronomy Centre) situado en el Parque Regional de la Cuenca Media del río Guadarrama. Se trata de un paraje natural de singular belleza y de alto valor ecológico por su gran variedad en flora y fauna. El desarrollo y crecimiento en los últimos años de la sede de la ESA en España ha hecho necesaria la ampliación de sus instalaciones. 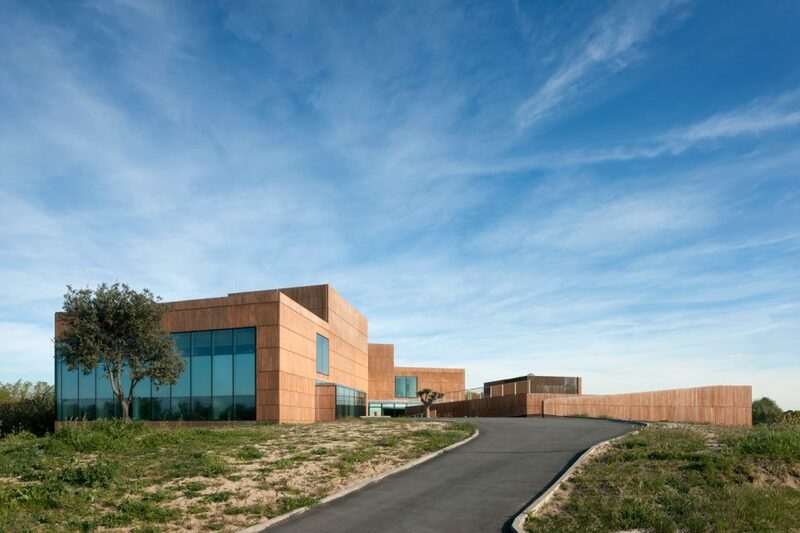 Con este fin se propone el nuevo edificio que incluye un centro de congresos y unas oficinas para dos instituciones: ESAC e INTA (Instituto Nacional de Tecnología Aeroespacial). El edificio se organiza en tres volúmenes que, conteniendo las tres partes del programa, emergen de una colina y comparten un hall enterrado. Dicha disposición minimiza el impacto visual del edificio en el entorno natural y permite además el funcionamiento de oficinas y centro de congresos de forma independiente y coordinada. Teniendo en cuenta la belleza natural del emplazamiento, se ha puesto especial atención en asegurar que todas las zonas habitadas del edificio disfruten de vistas privilegiadas. Por otro lado, con el fin de integrarse más en el entorno paisajístico, las partes opacas del edificio se han planteado de hormigón pigmentado, mimetizando así los tonos de la tierra del lugar y de las ruinas del castillo Aulencia situado en una colina adyacente. 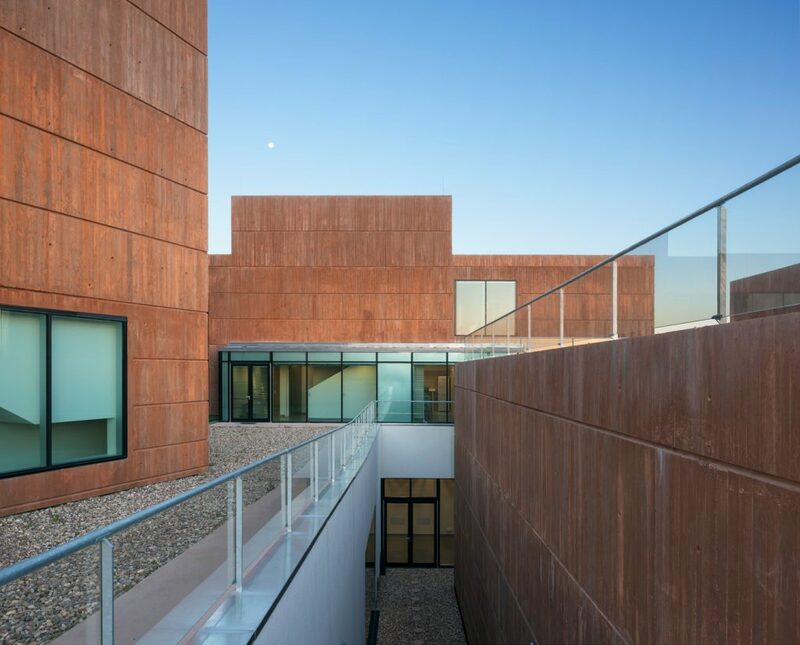 Das spanische Zentrum der Europäischen Weltraumbehörde ESA „European Space Astronomy Centre“ (ESAC) ist im Norden von Madrid in einem Naturschutzgebiet von großer landschaftlicher Schönheit gelegen. 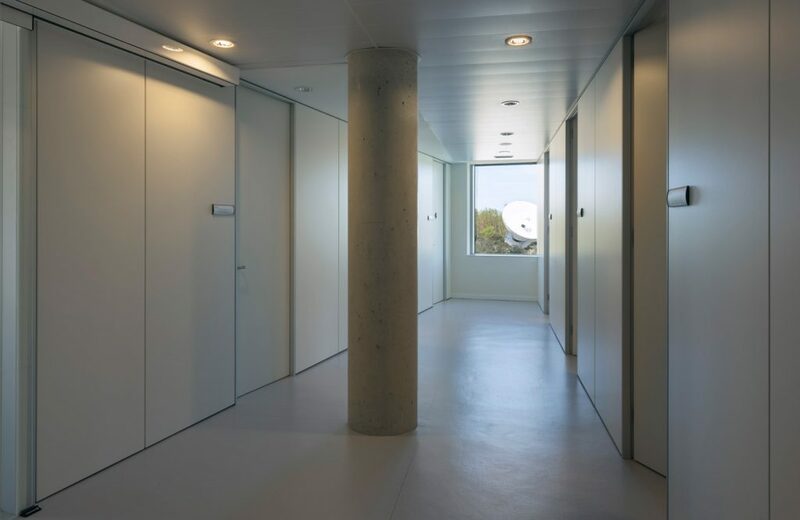 Das Mehrzweckgebäude beinhaltet ein Kongresszentrum der ESA sowie Büros für zwei verschiedene Institutionen: ESAC. 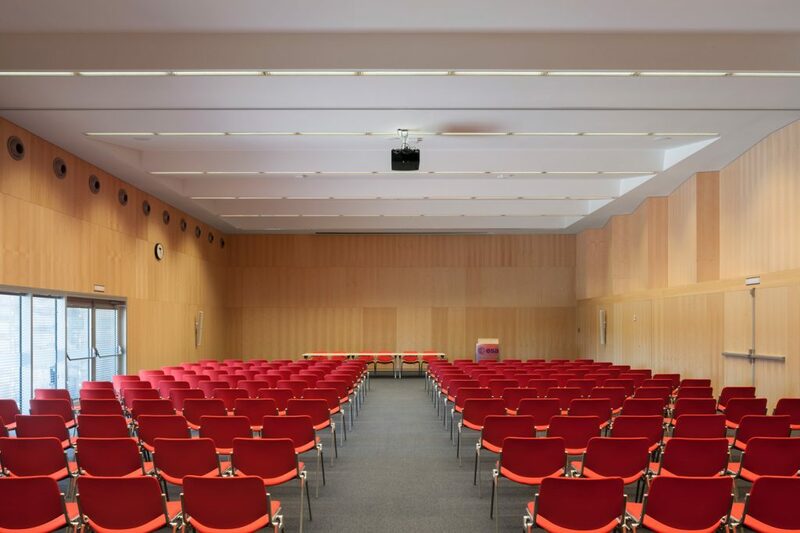 Das Gebäude ist, dem gemischten Programm entsprechend, in drei Baukörpern organisiert, die über ein gemeinsames, in das Innere des Hügels eingelassenes Erdgeschoss, miteinander verbunden sind. Dort sind das Foyer und die Kongresssäle sowie die vertikalen Erschließungskerne der Bürogebäude als auch ein Innenhof mit Aufgang zur Dachterrasse des Konferenzzentrums untergebracht. Dieser Anlage erlaubt die unabhängige und koordinierte Nutzung der verschiedenen Gebäudeteile und reduziert gleichzeitig die visuelle Erscheinung des Gebäudes in seiner natürlichen Umgebung. Bei der Planung der Gebäude wurden insbesondere die privilegierten Ausblicke, die sich von dem Grundstück bieten, berücksichtig. Die Fassaden des Gebäudes sind mit eingefärbtem Sichtbeton ausgeführt und passen sich dem Ton der umgebenden Landschaft und der benachbarten Burg Aulencia an. Die Begrünung der Dächer von Foyer und Kongresssaal unterstützen die optische Einbettung des Gebäudes in die Umgebung.